Kevin didn't waste any time. Modern Britain is pretty thick, so they lap this rubbish up. Way too late for ebay, boooooo! For the love of S#!T, ruuuuuun!! there goes another day of my life! 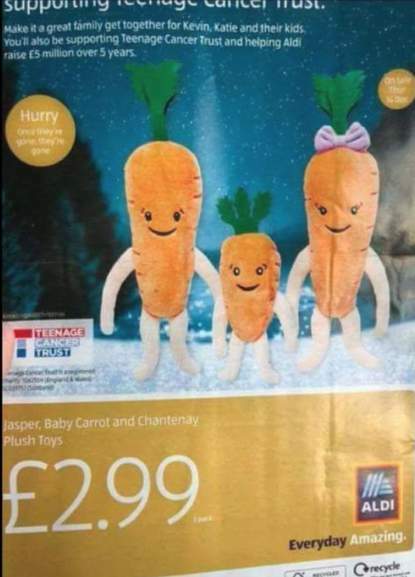 I thought this would be for next Christmas carrot babies, do you know the names. 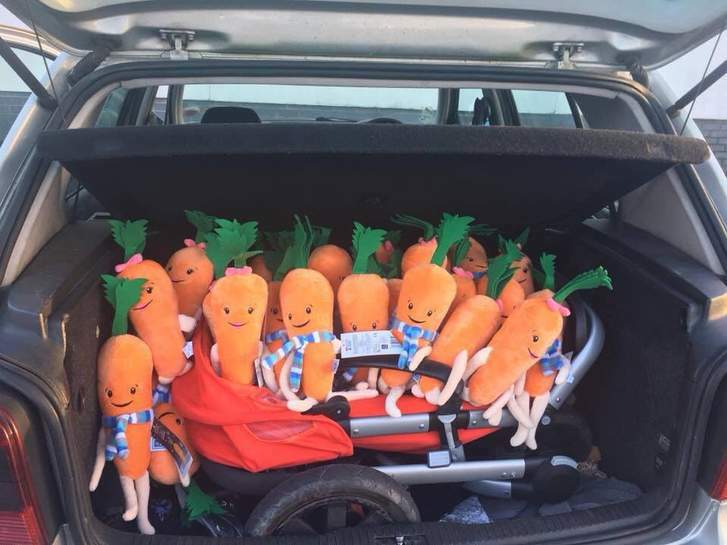 I thought this would be for next Christmas carrot babies, do you know the …I thought this would be for next Christmas carrot babies, do you know the names. Thanks, I didn't click on the image never noticed. Some people are such greedy *****! Saw this picture on Twitter a couple of weeks ago:[Image] Some people are …Saw this picture on Twitter a couple of weeks ago:[Image] Some people are such greedy t**ts! 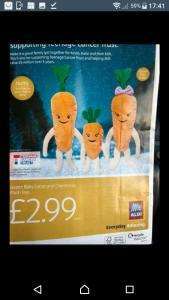 Our Aldi had signs next to the carrots saying the max was 2 per customer. And people were going bonkers for them. I just stood there and watched amazed,I don't get why people want these?? Our Aldi had signs next to the carrots saying the max was 2 per customer. 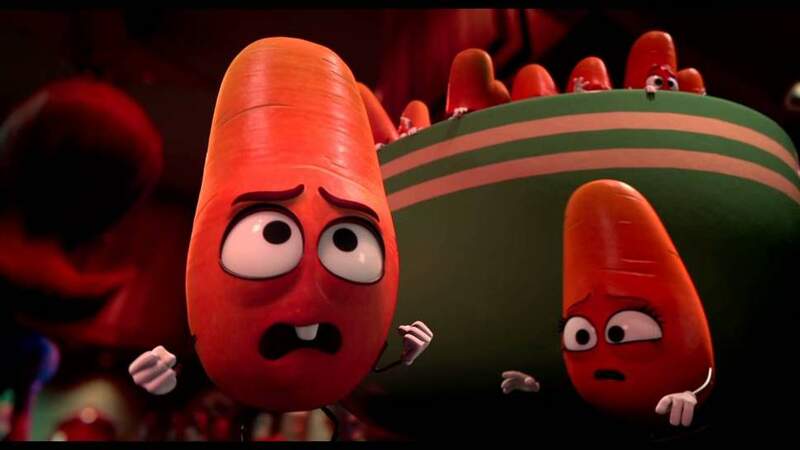 …Our Aldi had signs next to the carrots saying the max was 2 per customer. And people were going bonkers for them. I just stood there and watched amazed,I don't get why people want these?? Does anyone know if I get the babies, if the book will still be available? Got a leaflet in Aldi that says for sale in store from 14th December? Have a missed something ? anyone know what time they will go up online?? Got a leaflet in Aldi that says for sale in store from 14th December? Have …Got a leaflet in Aldi that says for sale in store from 14th December? Have a missed something ? You missed the first round which was Kevin and his bit on the side... sold out.. this is a second chance... we’ll until next year when they will be out again ! Sold out?! Since when did aldi start putting things online at midnight?! I looked at 1.30am this morning and they weren’t for sale still. Anyone know what time they actually went on sale? A Few people saying they tried at 3am and they weren’t on sale but we’re gone by 6am? Went to local store And they don’t stock them! Apparently only bigger stores. Anyone in Coventry still after these I have 2 spare sets!